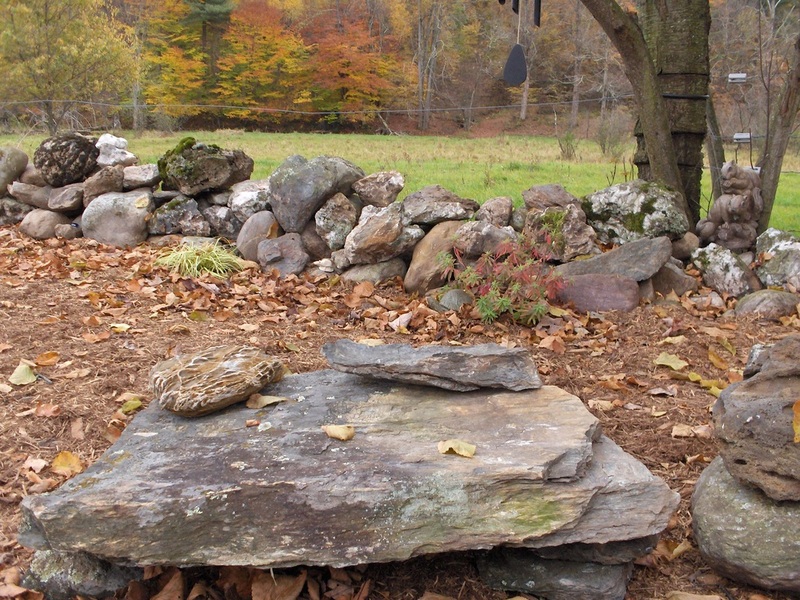 Stone altar in the Sanctuary area. Here at Heron Brook Haven we offer a wide variety of services and incorporate varied modalities. We believe that each person is walking their path and is meant to in their own way. From that belief we work with each one in an individual way that fits in with their journey. Whether you are seeking healing, counseling, a Spirit Reading, Earth connection, connection to self or Self, Sweatlodge, Quests, a place to pray or have some quiet time, guidance or assistance through the death and grief process, a space to hold your own event, to learn about food as medicine and gardening or any of the many other services we offer, we work together with you. We also offer everything we do for our plant and animal friends. We have Gift Certificates available if you would like to give a gift of healing or connection to someone.